Our angel memorial box comes beautifully detailed to add character and to contain your most precious. The sculpture is made of resin and stone mix. 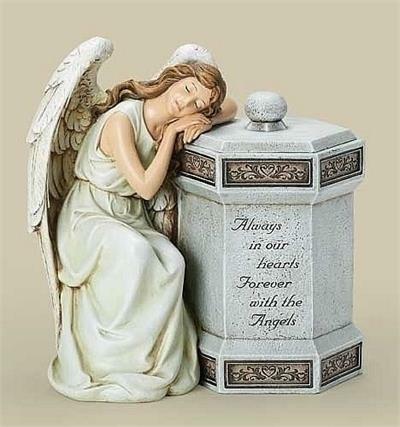 Inscribed on the box is, "Always in our hearts Forever with the Angels".